A great Summer party begins with choosing a great venue. 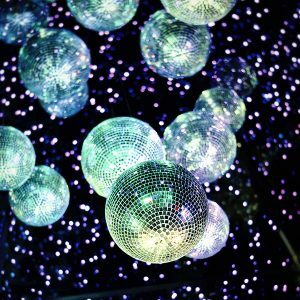 Party can be a huge undertaking, particularly when it comes to creating the perfect atmosphere for your guests. By choosing the right venue, you can let the venue itself do most of the work. Though everyone loves the chance to relax and socialise in the sunshine, summer parties are about far more than just sipping champagne in the sunshine. Many successful companies use their summer parties as an important networking opportunity, or as a place for their staff to get together outside the confines of the office. When it comes to choosing a venue for your summer party, you have plenty of options. 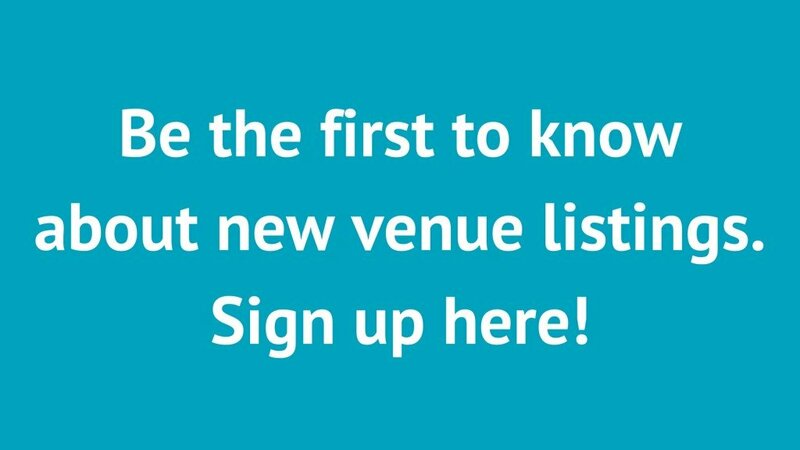 Luckily, whether you are looking for historic charm, contemporary design, or simply a huge space that can accommodate hundreds of guests, here at Venueseeker we’ve got you covered. 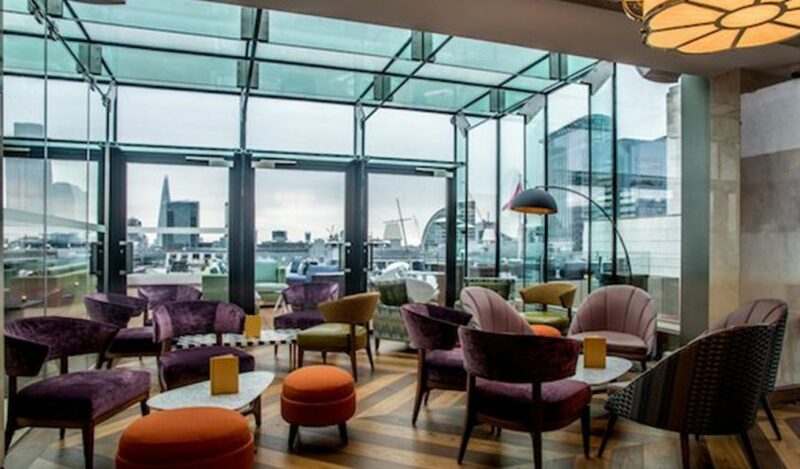 Below, we’ll run through all of our favourite event spaces for summer parties in the city of London. If any of them catch your eye, just give us a call and we can discuss how to make your event the best summer party ever! Savage Garden is an unashamedly opulent venue that manages to combine the best in contemporary design with a dash of old-school charm. 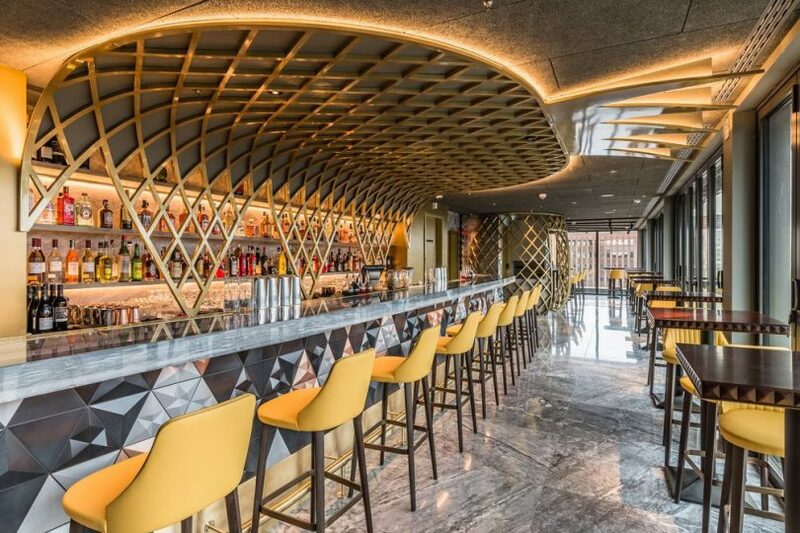 Located in the DoubleTree hotel that stands next to the iconic Tower of London, Savage Garden includes a variety of spaces that are just perfect for summer parties. Among these is a luxurious dining room, ‘Ferus’, with stunning views and equally stunning food. This private dining room can seat up to 40 for a seated dinner, and features floor-to-ceiling windows that mean that in the Summer it is flooded with light. Perhaps the best feature of Savage Garden, when it comes to summer parties, is the ‘Wildside’ terrace. 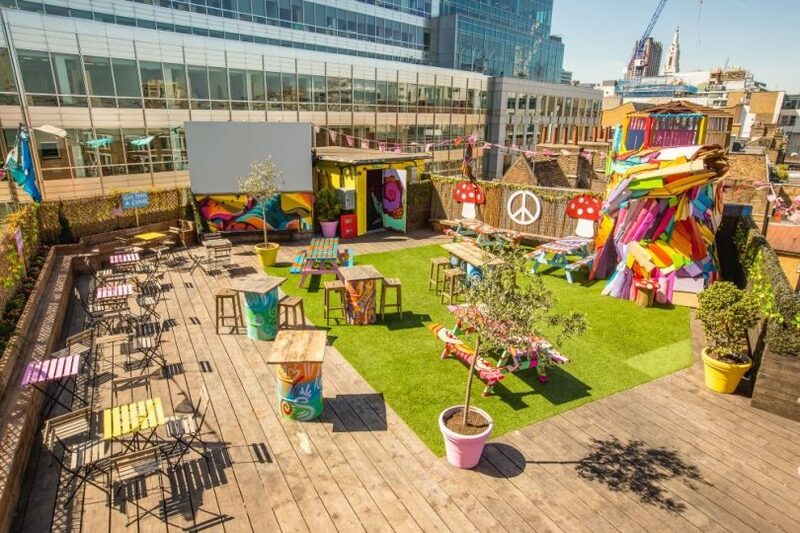 This sun-drenched terrace can seat up to 120 people, and has a retractable roof just in case the notorious British weather lets you down. Haberdashers Hall is a truly unique venue. Originally the headquarters of the Royal Company of Haberdashers, this historic venue is dripping in period charm. Think wood panelling, antique chairs, and oil portraits of famous haberdashers of the past. As a venue for a summer party, Haberdashers hall has several key features. Among these is the garden and orangery (yes, an orangery!) that lies at the centre of the building. This green space is a welcome oasis of calm in the middle of the big city and is guaranteed to provide a relaxing space for your guests to enjoy the long Summer evenings. Haberdashers Hall is also a very flexible space, suitable for meetings and formal dinners as well as more informal occasions. Ace Hotel is a boutique hotel in Shoreditch. Like Shoreditch itself, this contemporary space is trendy, but unlike the surrounding area it is also quite luxurious! If you are looking to impress your guests with your knowledge of the coolest parts of London, then look no further than the Ace Hotel. It offers sun-drenched rooms that are perfect for Summer parties, and a bar that comes stocked with all the latest (and trendiest) drinks. Best of all, the Ace Hotel also has a killer roof terrace with views over the City. This space is perfect for catching a little sunshine, but also retains a professional atmosphere that makes it perfect for corporate parties. Jin Bo Law is ‘the’ cocktail bar in London. Resident expert mixologist Davide Valvano oversees a bar that offers everything from classics such as Negronis and Mojitos, through to his own innovative (and delicious) creations. Don’t be intimidated, though: the staff at Jin Bo Law are experienced and courteous, and will help you to navigate the huge range of drinks on offer. If you are looking for something a little out of the ordinary for your summer party, what could be better than introducing your guests to drinks they have never tried before? This is to say nothing of the view. Jin Bo Law is located on the 14th floor of the Dorsett City Hotel in Aldgate, and as you would expect, it has stunning views over the city, including Tower Bridge and the Tower of London. 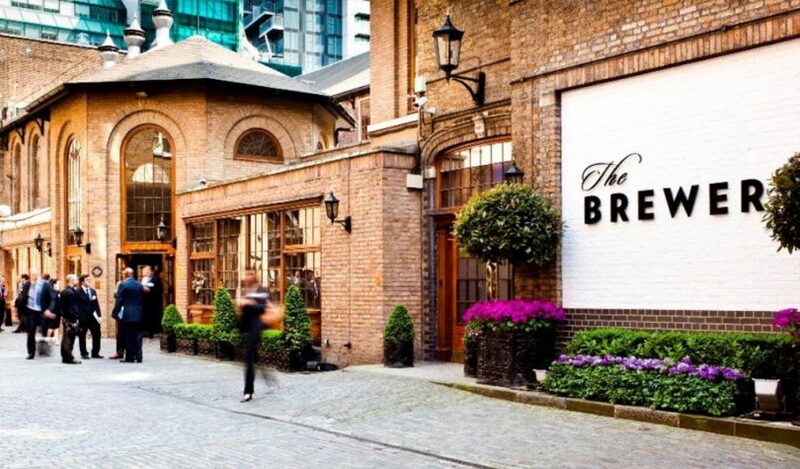 The Brewery is something of a London legend, and manages to combine respect for tradition with a contemporary approach that makes it perfect for both social events and corporate summer parties. The huge advantage of The Brewery when it comes to summer parties is the flexibility it offers. With rooms of all sizes, the knowledgeable staff can help you create exactly the right feel for your event, whether you are planning an office party or a birthday party. The Brewery is also a great choice if you are inviting guests from overseas, because it offers a taste of ‘Real London’ whilst still feeling fresh and contemporary. And though the British are not known for their food, the fresh take on British classics offered by The Brewery is perfect for any summer party! Aviary is a contemporary event space that aims to offer the best of modern design with a dash of Old London charm. It has quickly become a favourite among the businessmen and women of the City of London, but also has much to offer for more informal summer parties. The heart of the Aviary lies the Glass Box. As its name suggests, this reception room is completely surrounded by windows. 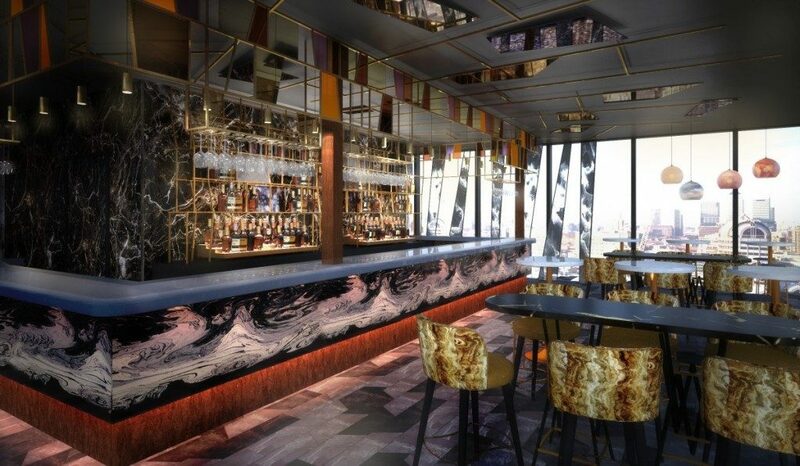 And, thanks to the Aviary’s location in Finsbury Square, the Glass Box offers amazing views of the city (and beyond). 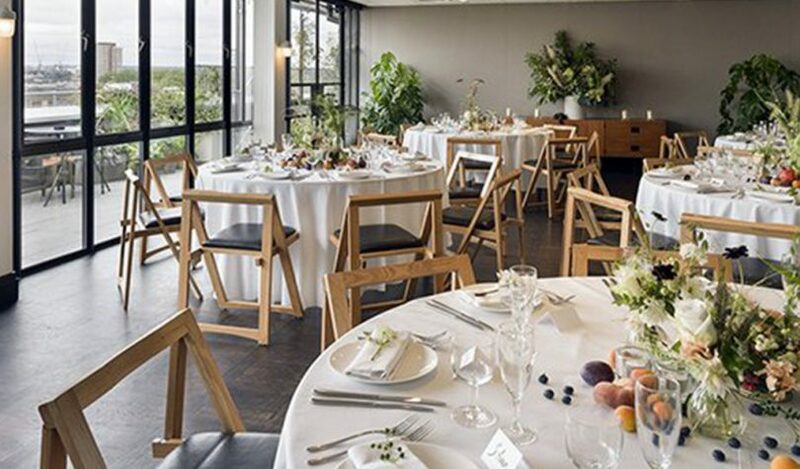 Unlike some other venues, the Aviary also offers rooms for guests. In fact, these are some of the best hotel rooms in London, with some offering private balconies overlooking the city. This is perfect if you are inviting guests from around the world (or just the country). ‘HAC’ stands for the ‘Honorrable Artillery Company’, a venerable old London organisation that has been around for centuries now. Their venue is something to behold: a gorgeous Georgian house set in a five acre garden, but still just a couple of minutes walk from Moorgate. If you are looking for period charm, you can’t go far wrong with the HAC. The building itself offers flexible rooms, from intimate spaces for 10 people right up to the ‘Prince Consort Rooms’, which seats 400 guests. And then there is the garden, which is perfect for summer parties. This garden feels like a piece of the countryside in the middle of the city, and is sure to encourage your guests to relax. Last up is something a little different! The Queen of Hoxton was a respected old pub in the East End of London, but is now one of the trendiest venues around. It regularly puts on art and music events, and so has gained a reputation as one of the coolest places in the city. For summer parties, the Queen of Hoxton offers everything you could possibly desire. There is a killer cocktail bar and a variety of spaces to accommodate parties of all sizes, one of which has a retro dance floor for you to show off your moves. There is a restaurant serving a huge variety of British classics and cozy booths from which you can watch the live music. Best of all is the roof terrace, which has great views of the City. Planning a summer party can seem like a huge undertaking, but fear not. Here at Venueseeker we’ve been helping people plan their perfect summer parties for years, and are always ready to share our advice and expertise. Whether you are looking for a venue with period charm, or a more contemporary space, we’ve got you covered. 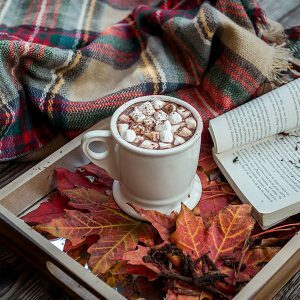 We also understand that each event is unique, and that the atmosphere you want to create will be different depending on whether you are planning a team away day or a birthday party. 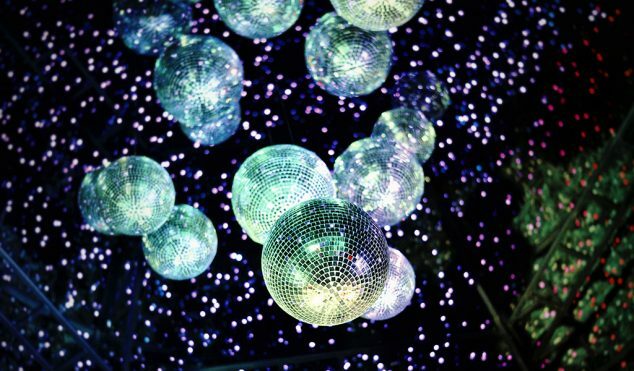 So, if any of the venues above has caught your eye, give us a call today, and we can help you to make your summer party the best one ever!